It is currently known that certain commercial video games, such as Portal 2, Call of Duty, and Tetris, can train players' spatial reasoning skills, while cognitive training games like Lumosity, Cogmed, and Dual N-Back have either no effect on spatial skills or only near transfer. What determines whether a given video game will train players' spatial skills? This project seeks to answer this question by systematically isolating and testing different game features for their effectiveness at training players' spatial skills in a video game. 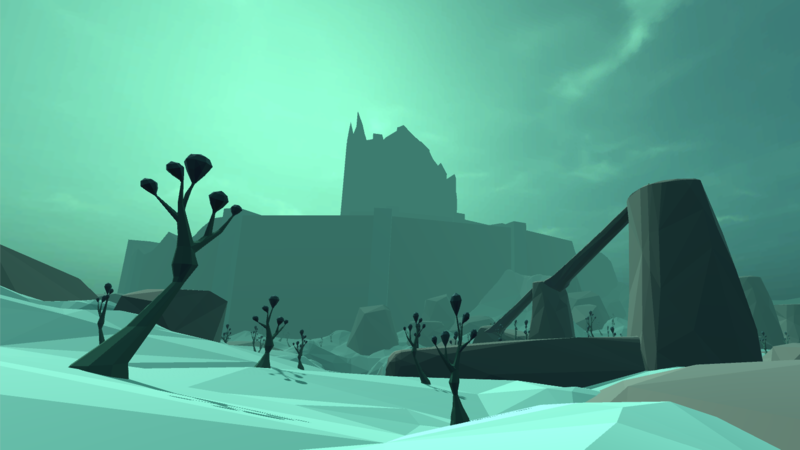 We developed our own game, Homeworld Bound, to use as a testbed for our studies. Although people of all ages can benefit from spatial skill training, we are currently targeting children ages 7-11 for this project. This is the age range where gender differences in spatial skills in favor of boys begin to emerge. We hope to intervene before this gender gap becomes a career barrier for girls interested in pursuing STEM and other disciplines where spatial skills are essential. Homeworld Bound is a fully playable, immersive first person adventure and construction game designed with three guiding principles: Evidence-Based Content, Engagement, and Modularity. Incorporating Evidence-Based Content inspired by the commercial games empirically shown to be effective at training spatial skills allows us to focus on game features that are most likely to train spatial skills rather than groping in the dark. Thoroughly playtesting our game to make sure that it's fun and promotes player Engagement helps us avoid the "chocolate-covered broccoli" style of learning used in many educational games, which may contribute to their ineffectiveness at far-transfer cognitive skill training. Modularity enables us to break our game down into separate, independent units of varying granularity so we can test and isolate specific game features for spatial skill training. We recently published a paper on this work at IUI 2017: Untangling the Relationship Between Spatial Skills, Game Features, and Gender in a Video Game. Also, we have a new, shiny website coming soon - stay tuned! If you're an educator interested in getting your school involved in this research project, please contact Helen Wauck (wauck2 at illinois dot edu) or Professor Wai-Tat Fu (wfu at illinois dot edu).